Edited by Miriam Forman-Brunell and Rebecca HainsPrincesses are significant figures in girl culture, and they have been for the last two centuries. 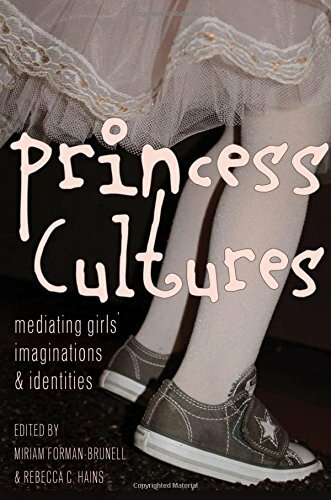 The Princess Cultures anthology brings together international and interdisciplinary perspectives on the meanings of princesses in girls’ lives historically, currently, and longitudinally: We consider how and why princess culture continues to play a role in girls’ lives. Encompassing pop culture princesses (such as the Disney Princesses and Princess Barbie), fairy tales (and their more recent feminist retellings), and contemporary royal figures, this book illuminates the many forms that princess culture has taken across time and space—continuously redrawn and recast, but always enjoying a prominent and privileged position in girls’ everyday lives and fantasy worlds and women’s collective memories.